Solve free online jigsaw puzzles games and enjoy! 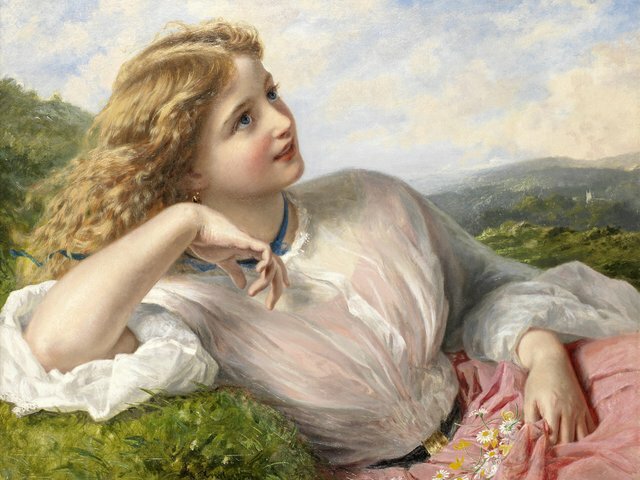 The fascination of the spring, reflected in the face of a beautiful Victorian girl, who listens 'The Song of the Lark', an oil painting on canvas (private collection), nearly like a photographic image, by Sophie Anderson. Sophie Gengembre Anderson (1823-1903) was a British artist, landscape painter and illustrator, known with her lifelike pictures in Pre-Raphaelite style of painting. There are currently 0 registered user(s) (0 among them invisible) and 14 guest(s) online.